New translation released: Bishoujo Senshi Sailor Moon S (Game Gear)! Also added link to the Godzilla: Monsters Attack Github repo to the appropriate page. New translation released: Godzilla: Monsters Attack! Oh, and happy new year, I guess. New translation released: Moldorian: The Sisters of Light and Darkness! 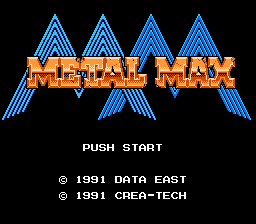 Added Metal Max Github repo to the project page. Despite spending much of the year in limbo, I'm happy to announce that the translation of Metal Max has been completed and released! Culminating several months of stumbling through a game in a language I barely know, I've created the Pocket no Naka no Oukoku Shrine, featuring a bugfix patch and painstakingly illustrated walkthrough for the unfinished and unreleased Game Boy Color game. Hopefully it can rest in slightly less obscurity now. Added Kouryuu Densetsu Villgust Gaiden to Other Projects. Added Sanma no Meitantei and Idol Hakkenden to Other Projects. Addendum: Also added Chou Soujuu Mecha MG Github repo link to that game's page, so if you loathe and despise me but nonetheless want to translate the game, you can now do it without my help. Or rather you could as of three months ago, since I uploaded it back then but forgot to add it here until now. 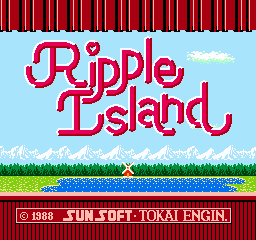 New translation released: Ripple Island! Updated and reorganized translation section. In addition to adding some projects I've been working on, I've taken a cue from Filler's site and separated it into subsections for complete/ongoing/inactive projects. Added Magic Knight Rayearth and Kishin Douji Zenki to Other Projects. Also touched up the navbar CSS a bit. Two updates in one day: Added it2snvgm to list of tools, and also added the "Worked Design" patch for Lunar: The Silver Star, which I'd had sitting on the server since its inception but apparently forgot to add to the page. Groups of images should now center correctly. Reformatted "Other Projects" page to look nicer. Fixed a dumb typo on the links page ("it're") and ditched the table borders. On reflection, moved Chou Soujuu Mecha MG to "Unfinished Stuff". Translation released: Bishoujo Senshi Sailor Moon (Mega Drive)! Added Desert Bus Overdrive to list of projects. This is the dumbest thing I've made in quite a while. Added City Adventure Touch: Mystery of Triangle to Other Projects. Well, here we go. I finally bought some hosting and put this damn thing on the web after sitting on it for half a year. I wanted stargood.net, but that was taken (by a default CentOS page?) and this wasn't. I'm surprised there was any competition for such a stupid name, but it turns out there was a "Captain Stargood" web series a decade ago that was basically an Italian Spiderman ripoff, so maybe it's an easier syllabation to come across than I thought. Anyway, this front page isn't much to look at right now, but everything else is pretty much in order. Surely I'll come up with a more impressive intro page and a proper news system at some point.